Jaffna Hindu Basketball team became the national champion in the Under-19 Basketball Tournament conducted by the Sri Lanka Basketball Association after 44 years. 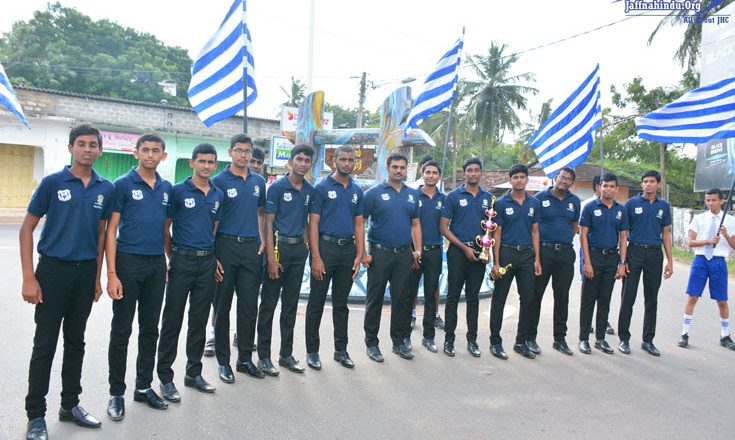 Becoming the national champion for the first time is a historic achievement for Jaffna Hindu. For the champion trophy, Jaffna Hindu competed against Colombo Dharmapala College and won the trophy for a score of 74:39.